What are my options on affordable individual health insurance plans? 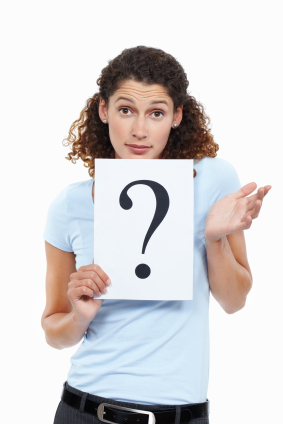 Home / FAQ / What are my options on affordable individual health insurance plans? Health insurance is a necessity for every man, woman and child. It provides coverage for medical services in the event of an illness or accident. It also provides financial coverage for doctor’s visits and prescriptions. There are many different options to choose from when looking for affordable health insurance. You can find affordable health insurance now! Use your zip code to receive instant health insurance quotes that fit your budget and health needs. Is a plan offered by an employer more affordable than private coverage? Health coverage offered by an employer is usually less expensive than buying private coverage; this is because the premium, or monthly cost, of an insurance policy is paid in part by the employer. With private policies, you are responsible for paying the full premium. What kinds of policies are available? Indemnity plans allow for the most flexibility in controlling your health care. You are able to choose your own doctors and hospitals. You pay a monthly premium, and the insurance pays all or a portion of you medical bills; some plans have a deductible, or a set amount that must be paid out-of-pocket before the insurance begins to pay for services. Cafeteria plans, or section 125 plans, are plans offered by employers to reduce costs for both the employer and the employee while offering certain benefits. Some benefits, such as flexible spending accounts (FSAs), allow employees to pay for premiums or other health care costs with pre-tax money. These plans usually supplement an existing comprehensive health policy. Health savings accounts (HSAs) are another option from employers that can help employees have affordable health coverage; usually HSAs are offered in lieu of comprehensive health coverage. Money is deposited into the account where it can grow through investment and interest. HSAs are usually required to be paired with a high-deductible plan to protect you if you face high medical costs from an accident or illness. Limited health care plans offer those services that are deemed basic or vital at a lower cost than full coverage. These plans are more affordable but they vary in what is covered. Managed care policies reduce the choices of the participant in order to save costs. They generally have lower premiums, but they require copayments for doctor’s visits and prescriptions. Health maintenance organizations (HMOs) require participants to choose a primary care physician from a list of approved providers. The chosen physician then refers you to others from the list when a different type of service is needed. Point of service plans (POSs) and preferred provider organizations (PPOs) make participants choose care providers from lists of approved physicians or groups. Managed care policies lower costs by contracting lower prices with approved providers, usually called a network. Services rendered by those outside of the network will be only marginally covered by the insurance; some will not be covered at all. What about vision and dental benefits? Generally, vision and dental benefits are not covered under most health insurance plans. Employers may offer vision and dental as “optional” or “supplemental” benefits administered by a different insurance provider. Premiums and coverage will vary from plan to plan. Check with your employer to see if they offer a wellness program. Wellness programs focus on health education and preventative measures. Companies that offer wellness programs to their employees can lower health insurance premiums. What options are available for those who can’t afford health insurance? There are government and state-sponsored insurance plans for low-income individuals and families. Medicaid is a state controlled program that provides health care for those under 65 who meet certain income requirements. Medicare is a federal program for those who are over 65 to cover health care costs. Each state administers Medicaid in different ways, and most states have their own low-income health insurance programs. Those seeking coverage should visit their state’s Department of Insurance website. Find coverage tailored to your budget and needs right now! Use your zip code to get health insurance rates instantly! What individual health plans are available for insurance?